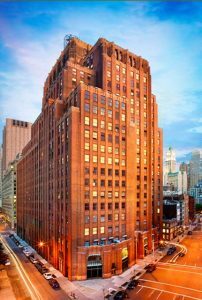 New York, NY – July 24, 2018 – NYI (www.nyi.net), a leading provider of hybrid IT solutions utilizing cloud, colocation and bare metal servers, has expanded its NY presence into 60 Hudson Street following the acquisition of the NY data center assets of Sirius Telecommunications, bringing a unique combination of hybrid solutions and agile managed services to this iconic carrier hotel. For more information about NYI Solutions, please visit: www.nyi.net/solutions/, contact 800.288.7387 or follow NYI on Twitter or LinkedIn. Why You Should Adopt…the Hybrid Cloud!